There’s a special place in heaven reserved for albums who don’t waste their listeners time. Skipping over intro tracks and getting right to the point, these albums want you to know exactly what they’re about, no frills or special announcements necessary. This works especially well for anything extreme, as the sheer shock of an album just exploding into over the top life can be a magnificent feeling. This is very much the case with Novareign‘s Legends. These power metal enthusiasts hailing from California waste no time with their debut album, immediately diving into a mass of riffs, powerful vocals and galloping bass. 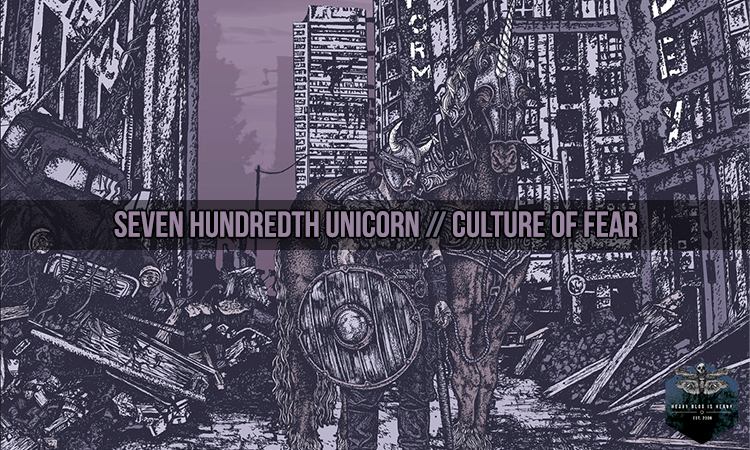 The rest of the album rides on the momentum of these initial notes to create one of the best releases in the traditional metal revival that’s been going on for the past few years (and on which we posted in length not two hours ago). At the basis of Novareign’s appeal lies a great balance between catchy tunes and overwhelming technicality. Opening track “Call On the Storm” is a perfect example. The opening riffs are all DragonForce-level insanity, blistering shredding at breakneck speeds. But the last third of the track contains arena-sweeping riffs, moving solos and passages focused more on worming deep into your ears and simply getting as much emotion across. This blend treats the main weakness that has always infected power metal, namely listener fatigue. Even the most die hard fans of the genre can and should admit that sitting through an entire album of just shredding can be tiresome; the mind and heart need something to latch on to and Novareign provide that in spades, utilizing returns, hooks and just great, simple riffs to capture your attention. The other foundation block of Legends and, indeed, of any power metal album being made today is the vocals. Working within power metal, you can’t avoid constantly being compared to some of metal’s greatest and most flamboyant vocalists. Just think about this list: Bruce Dickinson (Iron Maiden), Tobias Sammet (Edguy), Hansi Kürsch (Blind Guardian), Jørn Lande, Matt Barlow (Iced Earth) and many, many more. In the case of Novareign’s David Marquez, the main influence is with Kürsch and Sammet. Marquez wields the impressive duality inherent in this style, thick and muscular on the verse, high and precise on the chorus, with deft agility. A vocalist who isn’t aware of their limits and either goes too high or suffices themselves with the shallows is what drains energy from most power metal bands. Here, Marquez’s intimate awareness of what he can’t and can do leads him to confidently explore the edges of his ability (like on the repeating choruses of “Mace Of a Fist”) while also remaining within his bounds when necessary. At the outset of it, all analysis now written, Legends is also an incredibly fun album. 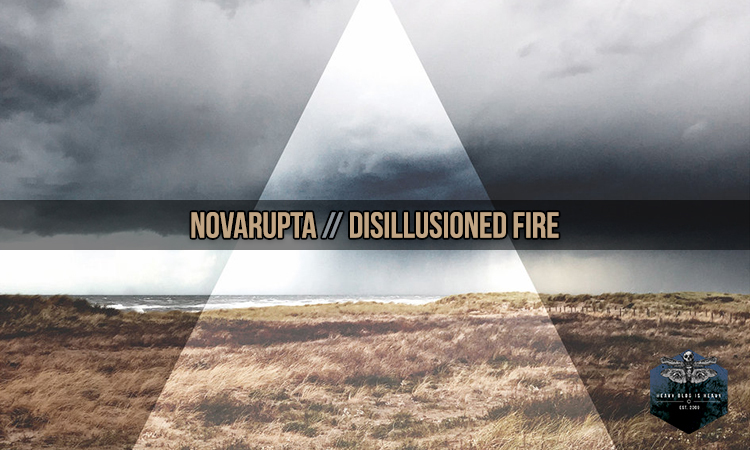 Something about the combinations we mentioned above but also about Novareign’s ability to effortlessly switch paces and ideas just makes the album flow. This is a big deal for power metal releases which often get bogged down in their own ideas and inner trappings; verve and ingenuity is buried under the need to always go higher and further. On Legends however, Novareign always know just when to end a song, when a solo has gone on long enough or simply when rotate a riff out in favor of something new. This keeps the album fresh, agile and fun. When you take into account that this is a debut release, these facts become even more impressive. We think it’s safe to tell you to mark Novareign’s name; these boys are going somewhere. 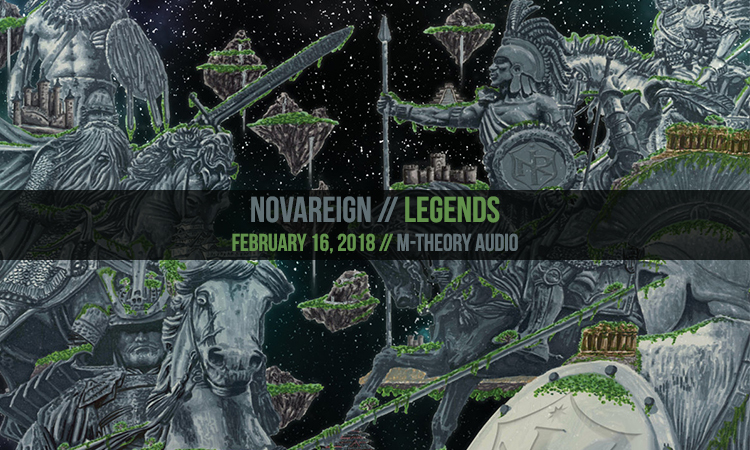 Legends will be released on February 16th via M-Theory Audio. 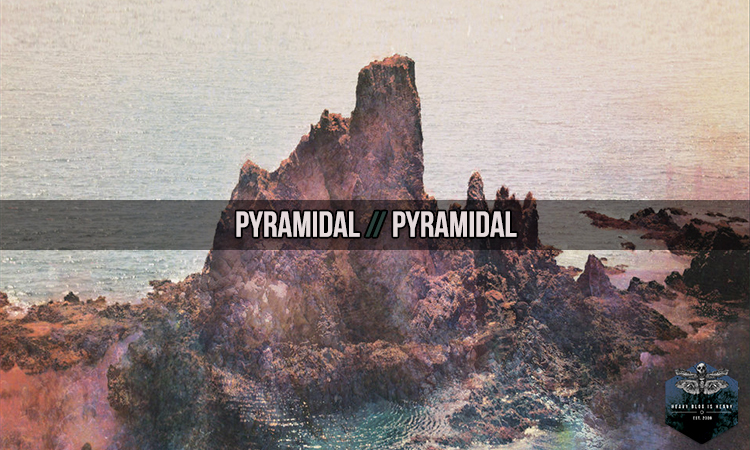 You can pre-order it via the band’s Bandcamp above or by heading to the label’s website.